Over the past few years, the e-commerce industry has been experiencing steady growth. It is said that by 2021 global e-commerce revenue will reach to $4.88 trillion. So you can expect more business growth in the coming years. It’s a competitive market you need to stay on your toes to get ahead. Technology keeps changing and you also need advanced technology to sustain in the market. 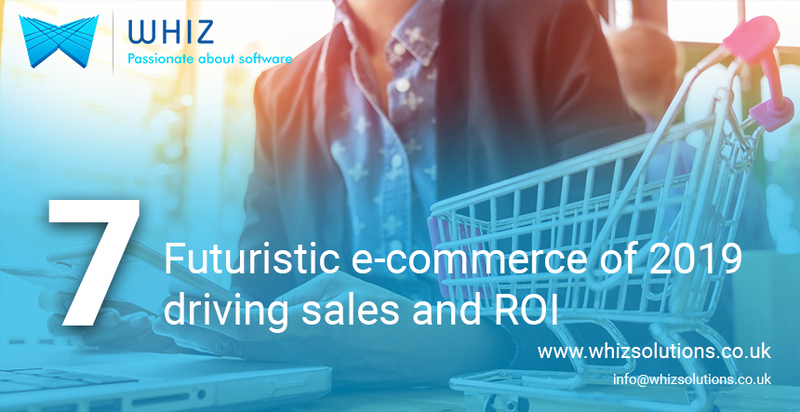 Let’s explore the top emerging e-commerce trends that you should follow in 2019 to beat your competition. Online shopping already offers delivery but nowadays merchants provide in-store pickup feature too. This will be very useful if you have the number of stores in different locations. It will also deal with your inventory management issues. It will save your order fulfillment costs, you can easily answer their queries when shoppers visit the store and also compare products. With this, your staff will on cross-selling and up-selling. There are many platforms which support multi-currency options. If people see familiar payment options in the currencies then it might increase your conversion rate. Multi-language offers retailers to localize their sites and make their message accessible to the local audience. Last, multi-channel lets sellers put their message and their products in front of customers wherever they are. Instead of forcing customers to come to you, it’s now easier to just come to them. Since a few years, we have been using chatbots. AI-powered Chatbots helps the business grow as it increases user engagement. It is estimated that by 2025 Chatbots will reach to $1.25 billion. With every passing year, chatbots are getting cheaper, smarter and widespread. One of the last steps in your ultimate shopping journey is the payment process. This process has to be effortless and smooth for an easy payment option that will ensure quick conversions. And if you work on a global level then it must offer a better payment solution. It is very important to identify your potential customer. Use various customer data points to personalize your website and deliver relevant products. The data points include customers’ Search Queries, Purchase History, Shopping Cart, Social Behaviour, Geographic Location or Segments. By using such data points, you can deliver nothing but the best to individual customers. All personalization should aim to better the customer experience. Numbers of e-commerce sites have already begun using voice search. As per Google guidelines, content for voice search should include more textual content as this will allow them to appear in rich snippets and knowledge graphs. Use of voice-enabled buttons can lead to more conversions from smart speakers. E-commerce brands have lately understood that what they need to do in order to appeal customer. Yes, they now use models that look like real people. More importantly, women of all shapes, sizes, ethnicities, and life experiences were able to see models that actually looked like them. This kind of campaign will increase your sells considerably. Start with the trends you believe will bring your company the best return on investment. These trends, when combined, form a solid foundation for a holistic business strategy meant to boost sales and pave the way for brand innovations and a futuristic, yet satisfying, customer experience so follow the trend that you believe will bring your company the best return on investment.